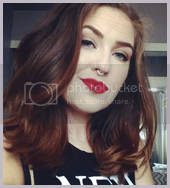 Canadian Fascination: My IMATS Experience! This past weekend was IMATS and I had so much fun! I will definitely be going again next year! 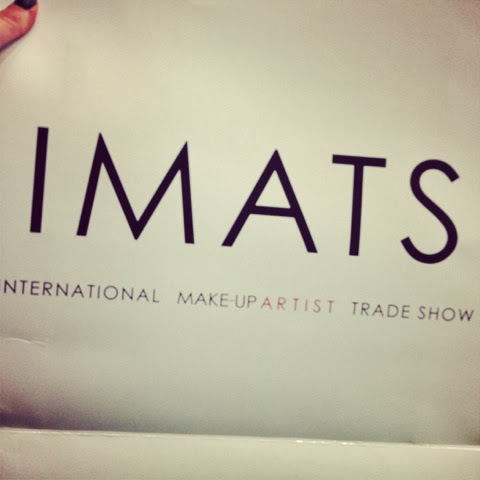 I figured I would write a little post about my first experience at IMATS. I went on Saturday with a couple friends and we got there bright and early at 8:30am, right as it opened. 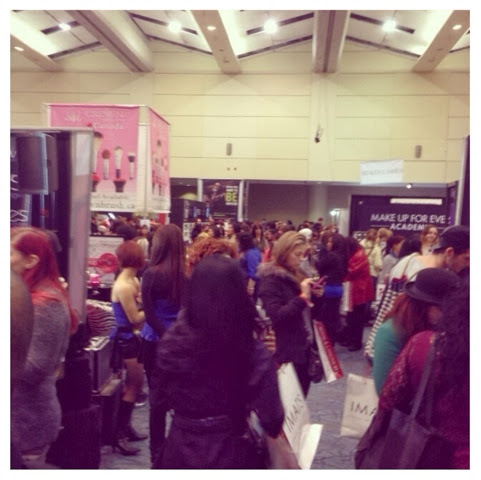 Our game plan was to hit up the more popular vendors first (Makeup Forever, Mac and Nars). We had longer lists for these booths and wanted to make sure they didn’t run out. We went to MUFE first. It was madness. You wrote down your order on a piece of paper with your name on it and handed it to a girl behind the table. Then you stood in a large crowd of girls near the cash waiting for your name to be called so you could pay. My advice is to check your order before you leave. A lot of people’s orders got messed up because it’s so crazy that you just want to get your stuff and escape. I was charged for, and not given a mascara. Luckily I noticed before I left and the girl at the cash fixed it for me. We then headed over to Mac, which was a complete disaster. They were one of the only booths not accepting cash. And on top of that their debit system was down and only one credit machine was working. I stood in line for 20 minutes and maybe moved ½ a foot forwards before I gave up. I understand this is beyond their control but I expect more from Mac. If it was a smaller company I wouldn’t be so disappointed. Mac is a huge company who has been at IMATS countless times before. They should be better prepared for the madness of IMATS. Also, not taking cash is ridiculous. Most people only bring cash and it is the easiest form of payment to accept. It was very annoying and me and all of my friends skipped Mac because of this. Nars was just as disappointing. They had no discount and had actually jacked their prices up for IMATS. I also heard that they were charging tax when most companies there don’t. Considering the Sephora 20% VIB sale was going on this weekend, stopping at NARS would have been a waste of time and money. 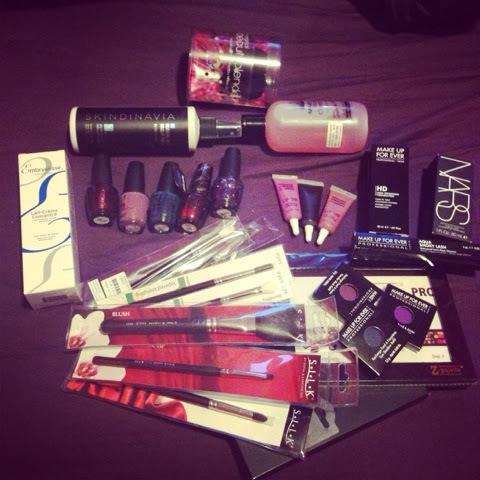 After IMATS, we headed over to the Eaton’s Centre and bought what we needed from NARS at Sephora. Nars Sheer Glow was going for $58 at IMATS and I picked it up for $48 at Sephora. Win for me. I also stopped by Mac and picked up an empty large palette since it was the only thing I really needed from Mac. 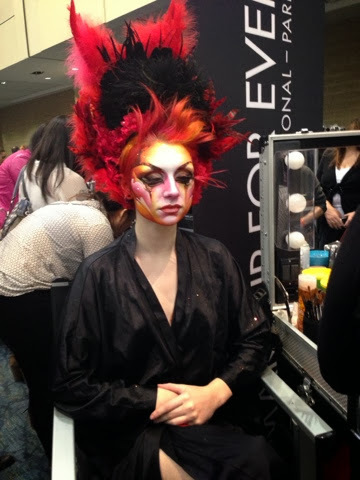 I think some people get caught up in the madness that is IMATS and leave their brain at the door. Check prices before you get to IMATS and make sure you aren’t paying more. It is easy to assume that since most companies have sales at IMATS that everything is an amazing deal, but some things just aren’t. Some things will be up-priced but worth it since most booths are no tax and there would be no shipping and handling for items only available online. Just weigh your options and take a breath and think! Overall I had a blast and spent too much money. I will be posting a haul video on my YouTube in a couple days but you can see from the photo above that I did pretty well. I did stay under budget. I was very proud that I came home with more than $100 in my pocket. This is probably mostly thanks to MAC being a disaster. I ended up coming home with some great deals including: three OCC lip tars, 6 OPI nail polishes for $30, an Embryollisse moisturizer, a Skindinavia finishing spray and brushes from Royal and Langnickle, Bdellium and Hakuhodo (can’t wait to try these babies!). Have a game plan: Know where you want to go first and what your necessities are. Grab those items first so they don’t run out. Smaller booths will run out quicker. Bring makeup wipes: You are going to want to swatch things. If you forget makeup wipes (like me) you will come home with OCC lip tar stains everywhere. Have a budget: Make a list before you go. I decided what I wanted and then made a budget with some wiggle room. You need some room for impulse buys. You will make impulse buys so make sure you don’t sacrifice a necessity for it. Mine was the Skindinavia setting spray. Bring cash: Even though MAC was a disaster, bringing cash will not only help you stick to your budget, but it is also easier (and quicker) than paying with Credit/Debit. Many American companies were charging credit cards in American dollars so people actually ended up paying a couple dollars more for credit purchases. Check prices first: Don’t just buy something because you want it. If you can get it cheaper elsewhere, why not? Check out the student competitions and speakers: I should have done more of this! There are crazy talented makeup artists all over the place at IMATS. Get your shopping done and then take some time to look around at the amazing looks. If you couldn't tell I absolutely loved IMATS. If you're a makeup junkie like me, you will too. If you went this year let me know what your favourite booth or best purchase was!